​Clear, tutti frutti flavoured vaseline. 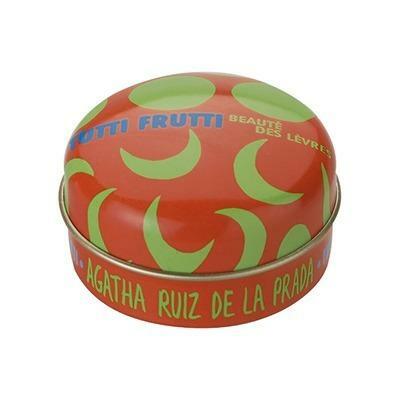 Fun and hip lip tins & a fragrant Solid Perfume from Spanish designer Agatha Ruiz de la Prada! The container is a very sturdy metal tin can with the typical design of Agatha Ruiz de la Prada: stars, hearts, circles, moons, and a mixture of bright colors.